In the old days – long before technology could make anything and everything way better – power wheelchairs were able to help paraplegics get around, but only in ideal conditions. 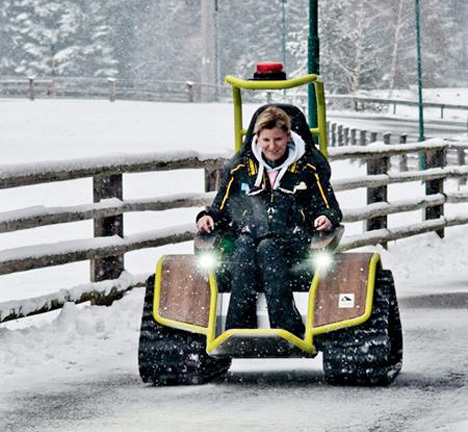 Snow, ice, or other inclement weather is enough to trip up the traditional electric wheelchair. 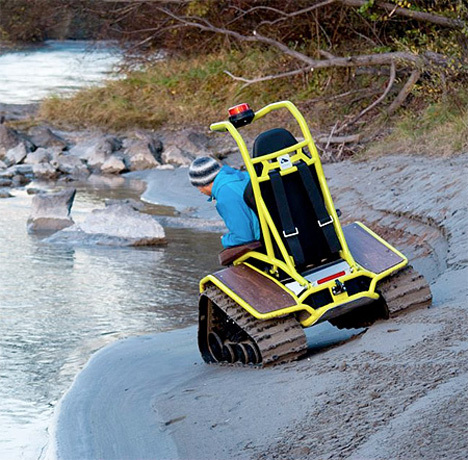 The Der Ziesel is a whole new take on the idea of power wheelchairs. This off-road beast can handle any terrain – rocky, sandy, snowy, muddy, even stairs – it powers right over everything. Of course, it can still drive just fine over pavement and smooth surfaces as well. 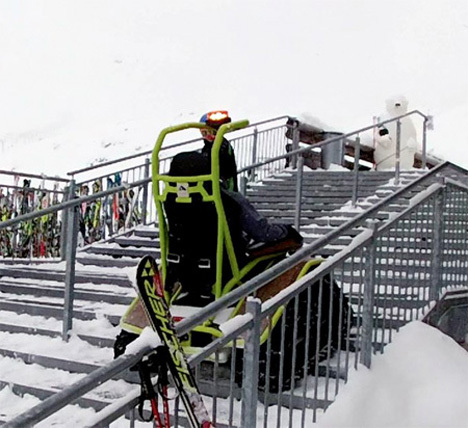 It allows people who are unable to walk with the ability to enjoy a variety of outdoor activities that were previously difficult or impossible. Der Ziesel is more eco-friendly than you might expect. 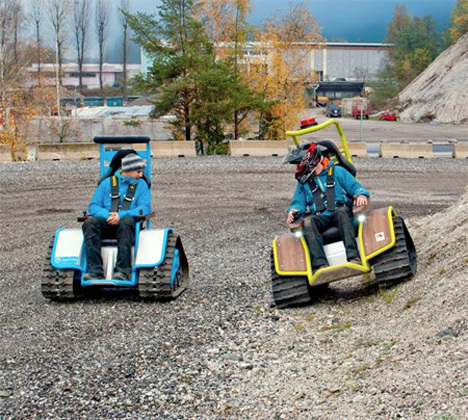 It contains two electric motors that run on a lithium-ion battery. With a maximum torque of more than 500 Nm and a top speed of up to 21.7 MPH, this isn’t your grandpa’s electric wheelchair. The lightweight tubular steel body allows for high speeds and cuts down on the vehicle’s workload. Ultra-bright LEDs guide the way through all kinds of weather conditions. Built-in safety features include a rollover protection bar, seat belt, redundant system checks, and and automatic diagnosis and error correction. A heating system keeps the driver comfortable while they go off-roading in the snow. Pre-set driving profiles let users save their settings for different terrains so they don’t have to readjust every time they drive in certain conditions. Available in several variations, the starting price for these ultra-cool wheelchairs is €21,595 (around $29,570). See more in Mods & Custom or under Transportation. February, 2014.